Named after an Indian chief who ruled the area hundreds of years ago, the Uco Valley has optimal soils, cool average temperatures and large night-day thermal amplitude. The Uco Valley's southern location and high altitude-3,200 to 5,000 feet elevation (it's close to the Andes)-make for cooler temperatures. All reasons why the valley has seen such tremendous wine activity-new vineyard plantings and new wineries-in the last decade. The name Tupungato means "star observatory" in the Huarpe Indian language and has nothing to do with gato, the Spanish word for cat. Tupungato is located due southwest of Mendoza City and Lujan de Cuyo. The valley is named after the dormant volcano of Tupungato, the single pointy snow-capped mountain that can be seen from almost any place in Mendoza on a clear day. 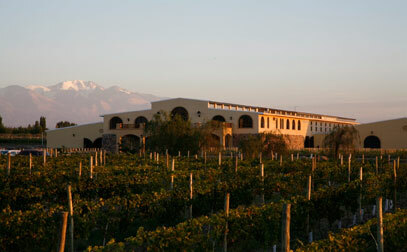 Tupungato is well known for its high-quality fruit and vegetable production.